We have great sympathy for people who must give up their dogs. It’s heartbreaking all around and devastating for the dog. We have provided this page for those people who wish to rehome their own dogs themselves, or for dogs that we can't take into our program. 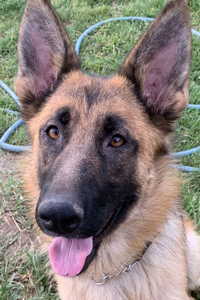 We will also list dogs for smaller, independent rescues and law enforcement agencies. 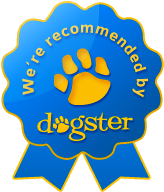 For information on listing your dog with us, please go to our Owner Information page. We have not seen or evaluated these dogs. We make no representation and take no responsibility for the health or temperament of the dogs listed on this page. Please contact the owner directly if you're interested in one of these dogs. For helpful information on adopting a dog, please see Adopter Information below the dog listings. And let us know if you find a match! Please contact Christy, if interested in adopting Dahlee. Dahlee is a very sweet 1 year old petite female weighing in at about 50lbs. She was pulled as a stray from Stockton shelter and has been in foster since. Nothing is known of her first year of life but from her behavior she was an outside dog and not socialized much. She's shy at first introduction but warms up well with just wanting hugs and love. Please contact Alpha Dog Rescue of Northern California, if interested in adopting. An adoption fee of $100 will be required for Zelda. 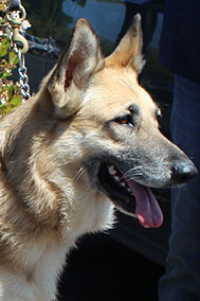 Zelda is a high energy, spirited, happy, sweet girl about 3 or 4 years old. She is not a dog for a first-time owner but would be a great addition for a family with German Shepherd or similar breed experience who understands the need for structure, leadership, and training. Why are you giving up the dog? Has the dog ever bitten, nipped or 'gone after' anyone? Does the dog have any health problems? Who is the vet? May I contact him/her? Where did you get the dog? Does the dog have papers? Does the dog have any training? Is the dog housebroken? Crate trained? Is the dog left alone for long periods? What does the dog do? Bark? Dig? Chew? Is the dog an inside or outside dog? Where does the dog sleep? How does the dog behave with adults, children? Is the dog mellow? calm? energetic? protective? affectionate? The benefits of a German Shepherd—loyalty, protectiveness and eagerness, to name a few—come from careful obedience training and authority. Everyone in the household must be prepared to show “authority” and earn the dog’s respect with a firm but loving touch. They do not respond to negativity or anger. Once achieved, this respect may need to be earned again and again.